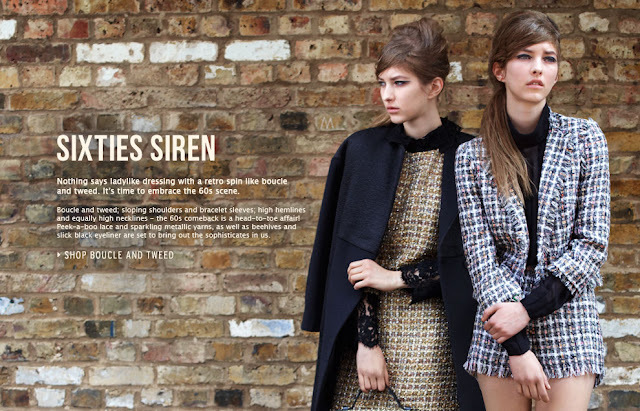 The 1960s ladylike look will be HUGE news come September if Topshop and Primark's AW12 collections are anything to go by. Topshop released their autumn/winter trends preview last week, with boyfriend coats, collars, monochrome, the wild west and sweaters also featuring as key trends in the high street brand's new season collection. I personally can't wait to add some 60s siren styling to my AW wardrobe; being a long-limbed 5'11 I've always found the modette look works for my figure and I'm already eyeing up the dogstooth, boucle and tweed pieces I've previewed for fall. Not to mention the Stella McCartney/ J W Anderson/ Jil Sander style paisley print sweater in look 3 which I predict will sell-out in record time! What do you think of Topshop's AW12 collection? And will you be embracing the retro look for winter? I was so excited to see this on the Toppers website! I'm especially in love with that paisley sweater, I hope it isn't too crazily priced. Love these looks!! 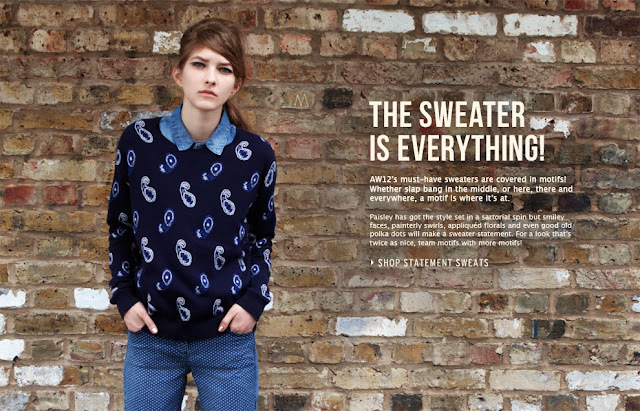 Especially liking the look of that paisley sweater,so cute! Absolutely made up that AW is going to be taking a Sixties twist. Possibly THE best fashion decade ever. I need that Master Mod coat in my life especially. Everyone needs a 60's-esque coat don't they?! I agree the 60s had that sense of cool that no-other decade can compete with. 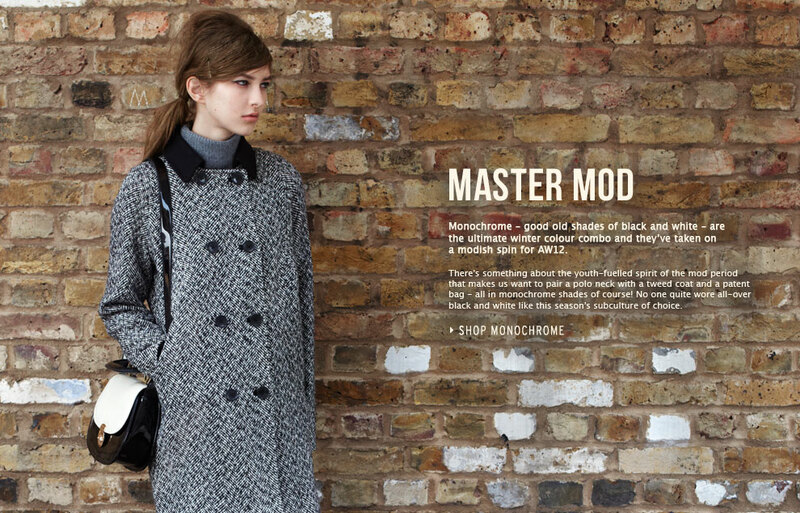 I fancy a mod-style coat with a a fur trim collar & statement buttons for AW12, can't wait!